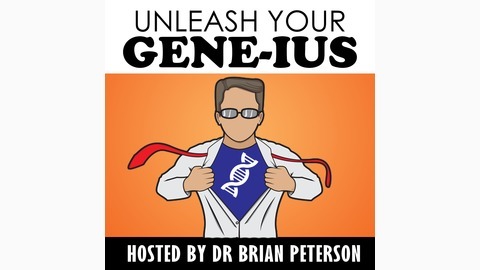 Unleash Your Gene-ius is a podcast for men and women who are ready to take ownership of their health, their body, and their mindset. By sharing real life questions and answers with health authorities like Dr Jack Wolfson, Primal Blueprint Experts, Doctors, and health coaches. 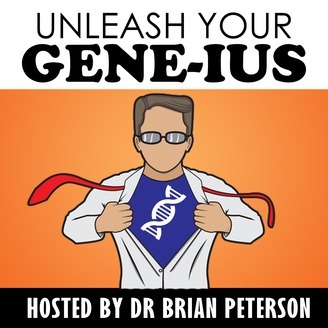 024: Michael Rutherford: The Primal Culinary Gene-ius. Michael Rutherford is a recent graduate of the Nutritional Therapy Association where he learned to practice functional nutrition. The NTA is rooted in using diet and nutrition to optimize healthy function in the body based on nutrient dense, properly prepared local foods. Michael is also certified as a Primal health coach and loves to combine the two practices to help create a unique and individual plan for each client. When not working with clients he loves spending time with his twin 3-year-old boys, hiking the many trails found in the Pacific Northwest, backpacking, fishing, or researching the latest nutritional findings! You may also find him searching the aisles at the local Co-Op or Whole Foods, browsing for the best deals or new foods. Michael has a previous background in the culinary industry of nearly 15 years, where he fine-tuned his ability to create not only healthy foods but dishes that are not lacking in flavor and excitement!